As the heat of the summer is upon us in many areas, not so in Park City, Utah. 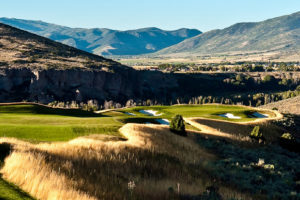 We are dreaming of cool mountain breezes and high-flying tee shots in the Wasatch Mountains! 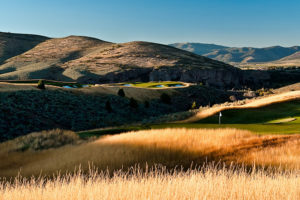 If you are thinking of coming to play in the area, not only is the summertime nice and cool, but we absolutely love the month of September in PC Mother nature puts on a colorful show a colorful show of Autumn leaves, and the golf courses are typically in the best shape of the year. Fast green speeds, crisp air and gorgeous Fall light. 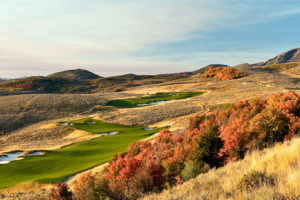 Perhaps, there is no better place to enjoy the Fall foliage than Wasatch State Park Golf, located in Midway, Utah about 20 minutes from Park City.